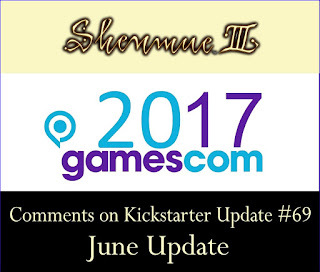 Yu Suzuki left us all in anticipation when he mentioned earlier in the month (after his message about the rescheduling of the Shenmue III release date to the second half of 2018) that there was more news to be shared in this month's update. Now Kickstarter Update #69 is in, and it's a juicy one! The update starts by expressing gratitude for the various comments they received after last time's announcement of the new release date. 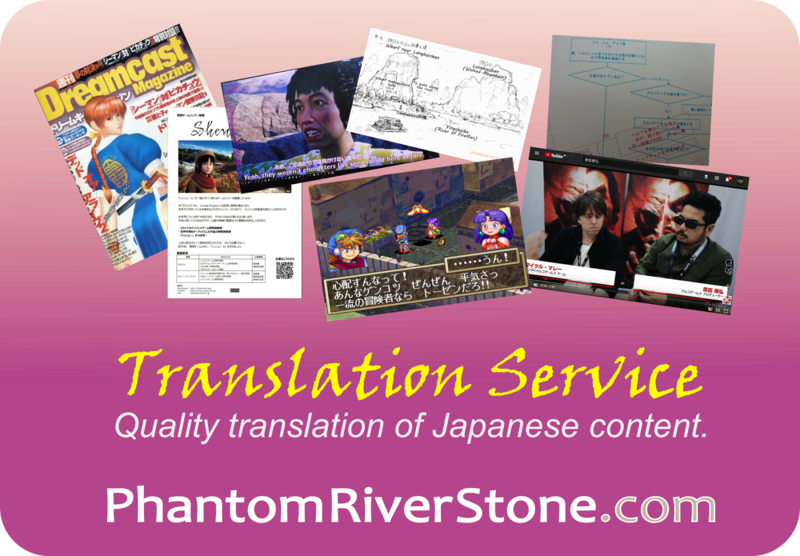 One small sentence from the Japanese version of the update that was left out of the English text was that "We have read them all". It is nice to know that they are actively checking everyone's feedback. The event is Gamescom, a large European trade fair for video games held annually in Cologne, Germany, where video games developers show off their latest games and hardware. In 2016 there were 345,000 visitors. The dates for this year's fair are August 22 - 26, with the 22nd being for trade visitors and the media only. After all the speculation and rumors of possible showings at various recent events such as E3 and other shows, to have it firmly confirmed in an official update like this is a dream come true. I am particularly looking forward to seeing movie clips that will showcase how far the project has come since the start of development, and I am sure will knock our socks off. 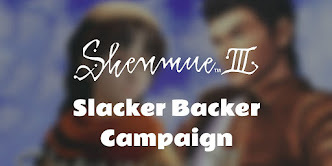 The "easy-read" Shenmue III logo, which Yu has stated in the past he chose to be more readable for young people not used to cursive script, has been used ever since the Kickstarter launch and has stirred up a fair amount of controversy among fans who preferred the more intricate look of the previous logos. 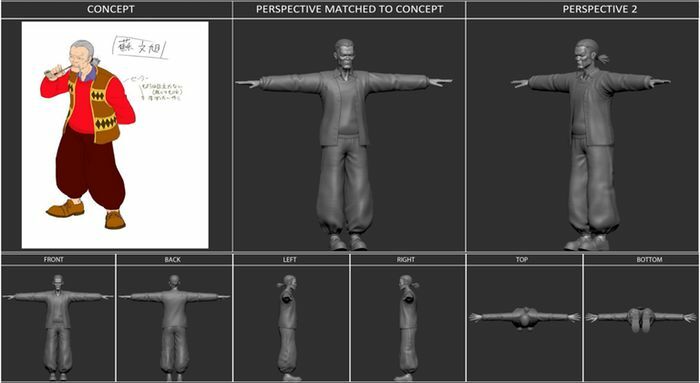 In fact, in a previous backer update (April 2016), the team mentioned that they were aware of the feedback regarding the logo and had put it on their "to do" list. Well now it's official - the simple logo is a thing of the past, being replaced with a logo in the style of the those of the first two games. 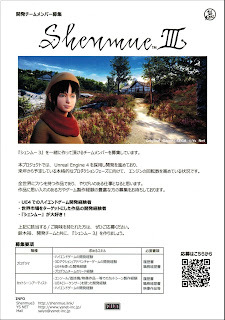 For comparison: the logo for Shenmue II (Xbox game cover). Presenting the new "old" Shenmue logo! In fact this logo has appeared previously in places like the 2016 recruiting flyer at the Unreal Engine Expo, but now it is officially sanctioned, hopefully banishing its poorer cousin forever. 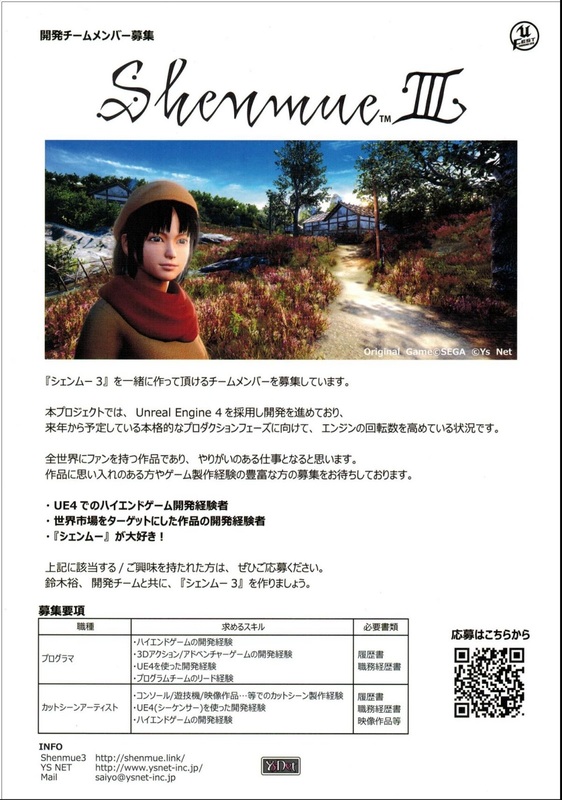 For me, although the logo was not a huge issue this decision holds special significance because it shows that the team is really listening to what fans think, and that Yu Suzuki is not afraid to change a decision if necessary. 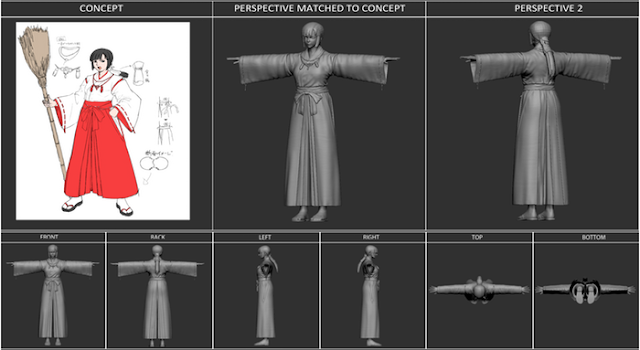 Finally, three characters are presented, showing the concept art and the 3D modelled form. The first is a young girl holding a broom and wearing what looks to be the traditional costume of a Japanese miko ("shrine maiden") with her bright red hakama and white shirt. Miko act as assistants to priests and among their tasks is the sweeping of the shrine grounds (hence the broom in her hand). 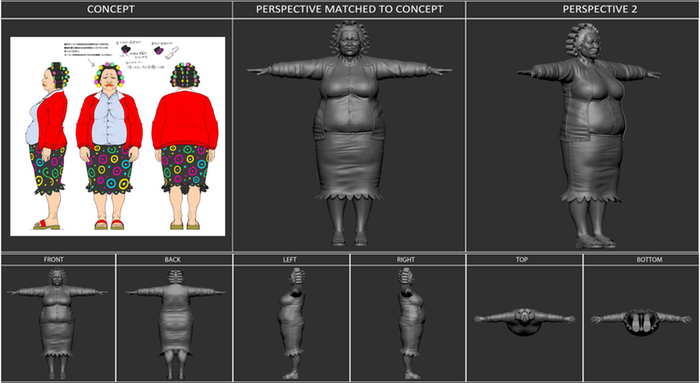 Left: new character model. Right: a miko (shrine maiden) at a Japanese shrine. There are some words handwritten on the character design sheet. Unfortunately I couldn't decipher them properly at this resolution, except a guess at one or two of the characters. The cylindrical object around the ponytail is a special accessory that miko use in their hair, and is made of paper or cloth (on the design the word "paper" appears to be written next to it). Also shown on the design is detail of red cord decorations at her chest. 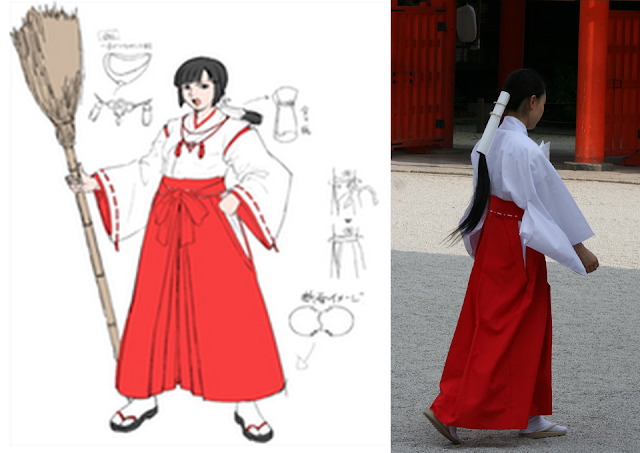 At the side are details of the way the belts fastening the hakama are tied, and a diagram showing a figure of eight and an arrow pointing at the hakama. My best guess is that this indicates that the hakama may be of a style having divided legs rather than the usual skirt-style worn by women. 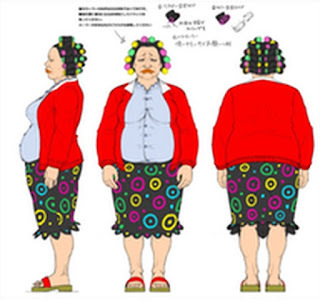 With Shenmue III's setting being in China, I'm surprised to find clothes that so closely portrays a costume found in Japan. I wonder if this will really be the final costume of the model. The comment provided in the update is that she looks strong-willed... Will Ryo be as abrupt with her as he was with Joy? The second character is a somewhat over-weight middle-aged lady wearing numerous hair rollers. Here again, the detailed hand-written words are not clear enough to distinguish, but it almost looks as though an explanation is being given of one of the hair rollers! The 3D model matches the artist's design remarkably closely, protruding belly and all. 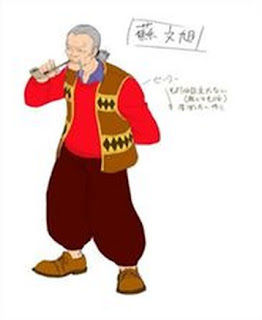 The third character is an old man smoking a pipe. Next to him are three kanji characters in a box that we may assume to be his name: 蘇文旭 (it's presumably Chinese, so I have no idea what the pronunciation might be). Beneath that are some hand-written notes underneath the heading "sweater". I have squinted at them for a while but can't decipher enough to make sense of the rest however. This update has really exceeded my expectations. The new character designs and models give a taste of more of the inhabitants of the villages and towns Ryo will be visiting, and I honestly did not expect we would be be in the position of looking forward to a substantial public update in the very near future in August. 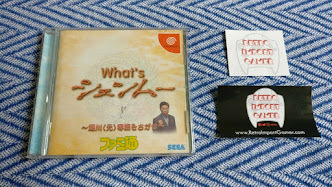 The return of the "real" Shenmue logo was the icing on the cake! Link: read Update #69 here. Don't litter this well written, genuine article with your bs. Go away troll. Can this comment be deleted? And into the trash it goes! Love your write ups switch, just a shame about the resolution of the images. 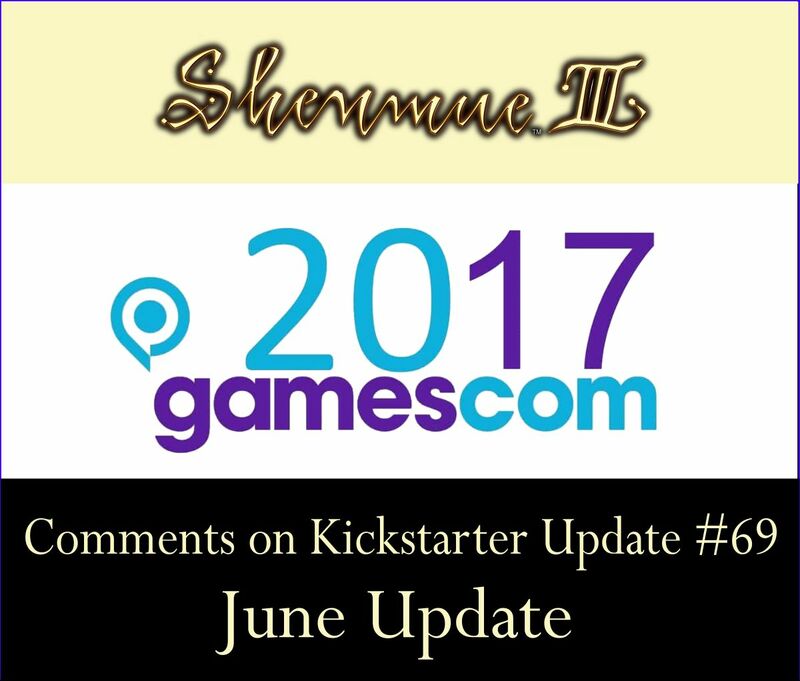 Mate I cannot wait until gamescon.. finally some great Shenmue news that will have us all waiting in bated breath until that date arrives. Yes, the future suddenly got a whole lot brighter! If I can somehow get hold of higher-res versions I'd definitely like to post up the translations. wow its true! that logo was already last year!